Start 2016 off right with comprehensive Internet marketing training. Register now for the upcoming JB Media Institute starting on Tuesday, January 12 to develop and sharpen your Internet marketing skills in the new year. 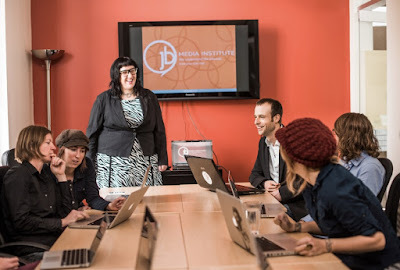 Based in West Asheville, training is offered Tuesday, Wednesday and Thursday from 2-5 PM for 6 weeks and covers the digital marketing spectrum including social media, SEO, online PR, online advertising and strategy. Schedule challenges? No problem, they have an online version to give you greater flexibility. This is a great way to use any professional development funds left in your 2015 budget.